I was drawn from an early age to letter forms and the way the outer and inner curves and spaces relate to and interact with each other giving grace to the overall figure. I came to understand that these relationships exist everywhere, and was eventually drawn to clay because it is so malleable. 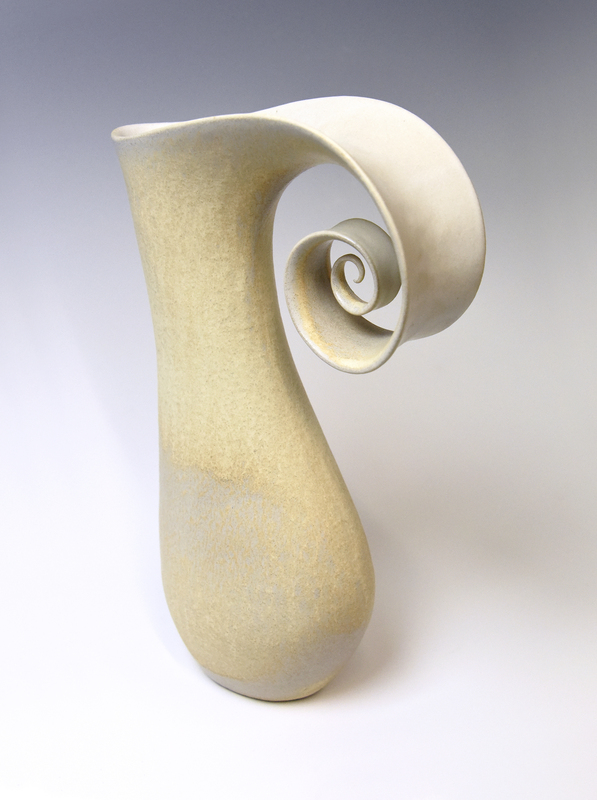 I explore organic forms in the vessels I make – defining inner and outer space and exploring the relationship between them. I am influenced by the primal forms contained inside other ‘vessels’ – human, plant and animal forms – all ‘vessels’ containing life and defined by their interaction with the world around them. Ceramics has taken me over! There is so much that I want to do, so much fulfilment from expressing ideas that continually evolve, techniques and processes which reveal more possibilities the deeper I come to understand them.